How might Facebook posts affect your child custody case? You have to be aware that social media posts can be taken out of context and be used as evidence against you in a case, including a child custody case. In a child custody fight, the safety of the child is the main focus for the courts. The courts will look at such factors as home environment, ability of parents to care for the children, potential for harm, or potential abuse. When one parent argues against the fitness of the other parent to take proper care of the children, they would be able to point to social media posts that demonstrate the other parent in a negative manner. Social media apps and websites, like Facebook, Instagram, or Twitter, are part of the everyday life for many people. People post pictures and messages for festive events and everyday happenings. Unfortunately, these posts and pictures don’t always show the whole story. In most cases, social media posts and messages can be used as evidence in court. Even supposedly anonymous or private messages can be discoverable in court. For example, one parent may claim the other parent is an alcoholic and strangers do drugs in the house. As evidence, the parent points to a number of Facebook posts where the parent is doing shots at a bar, in the background at a house party where people are smoking pot, or looking disheveled on a wedding party dance floor. In reality, the parent may have had some drinks to celebrate their birthday, was the designated driver at the party, or danced a little too much. Unfortunately, the pictures can paint a more negative image. Anger at the other parent could also come back to haunt you. After a separation, spouses may be feeling betrayed or angry over the deception of another relationship. When the couple separates, the only way communicate may be through social media posts and messages. Even when speaking out in anger, a message could be taken as a threat, even if no harm was actually meant. During contested child custody cases, threatening or disparaging comments about the other parent are not taken well by the courts. 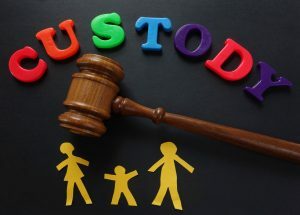 During a child custody case, it is important to demonstrate that you can provide a stable environment for your child. Before posting pictures, videos, or messages, make sure you think about who can see those postings and how it may look if taken out of context. Even if you think no one will see it, those social media posts could come back to haunt you.